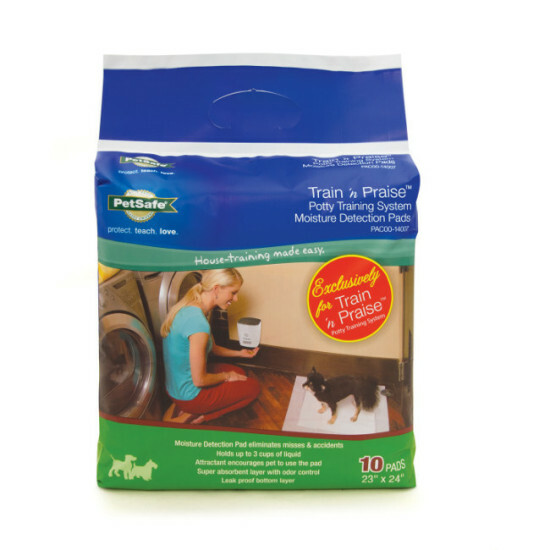 The Train ‘n Praise Moisture Detection Pads work exclusively with the Train ‘n Praise Potty Training System (sold separately). The system uses an automatic treat dispenser, replaceable pee pads, and a pee pad clip to help you easily potty train your dog. Attach the clip to the new pad. When your dog pees on the pad, the moisture alerts an internal sensor in the pad, which wirelessly transmits a signal to the treat dispenser. The treat dispenser then releases treats/kibble, rewarding your pet for using the pee pad correctly. 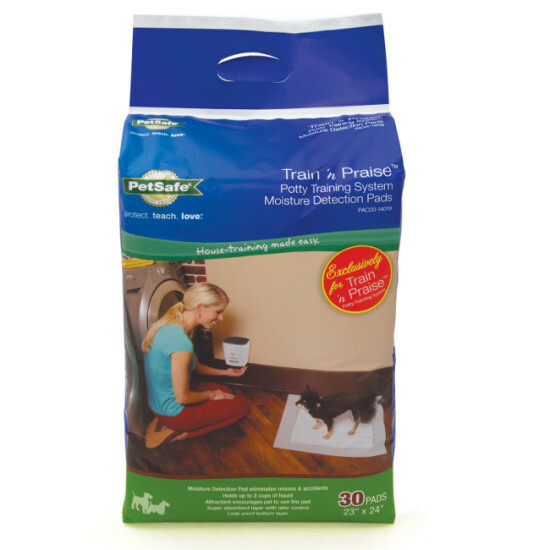 An attractant in the pad encourages your pet to use the pad for easy training. 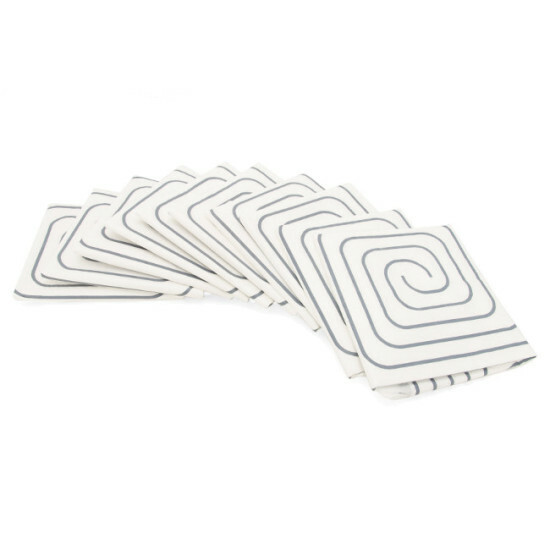 Moisture is trapped in the super-absorbent bottom layer of the pad, leaving your floor clean and dry. Each pad can hold up to 3 cups of liquid. This effective and practical house-training tool teaches your pet where it's okay to use the bathroom, and it lets you continue your dog's potty training even when you're away. 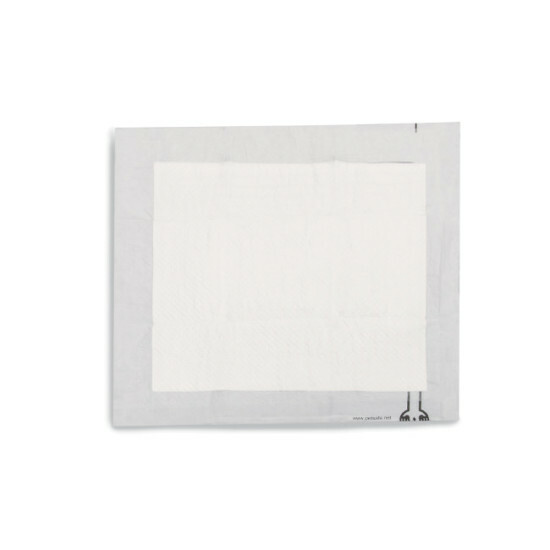 To attach the Pee Pad Clip (sold separately with the Train ‘n Praise Potty Training System) to the pad, press the lever to open and slide onto the designated area. Be sure the pee pad is fully unfolded or the system won't work. Place the Moisture Detection Pad near the Treat Dispenser. Watch your pet closely during the first 2 weeks of training. Once your pet has consistently learned to go and receive treats, you can start to decrease and eventually stop supervising your pet every time. Your dog should quickly learn to use the pee pads because the treat is dispensed and he gets an immediate reward for going in the right place!